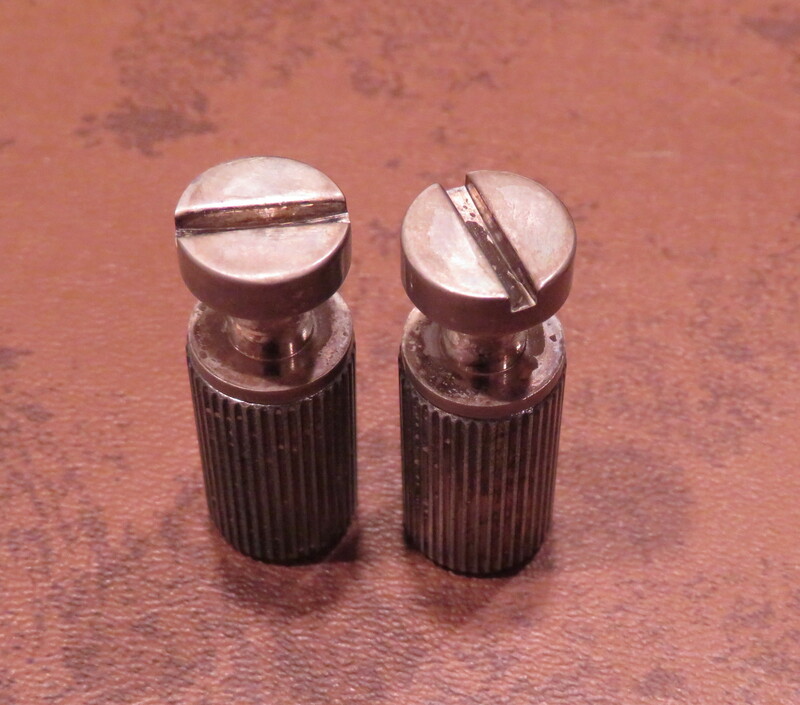 "Tailpiece Studs / Bushings for Gibson [aged]"
AGED Nickel fits Gibson Historic vintage 1958 1959 1960 Les Paul 335 SG guitars. 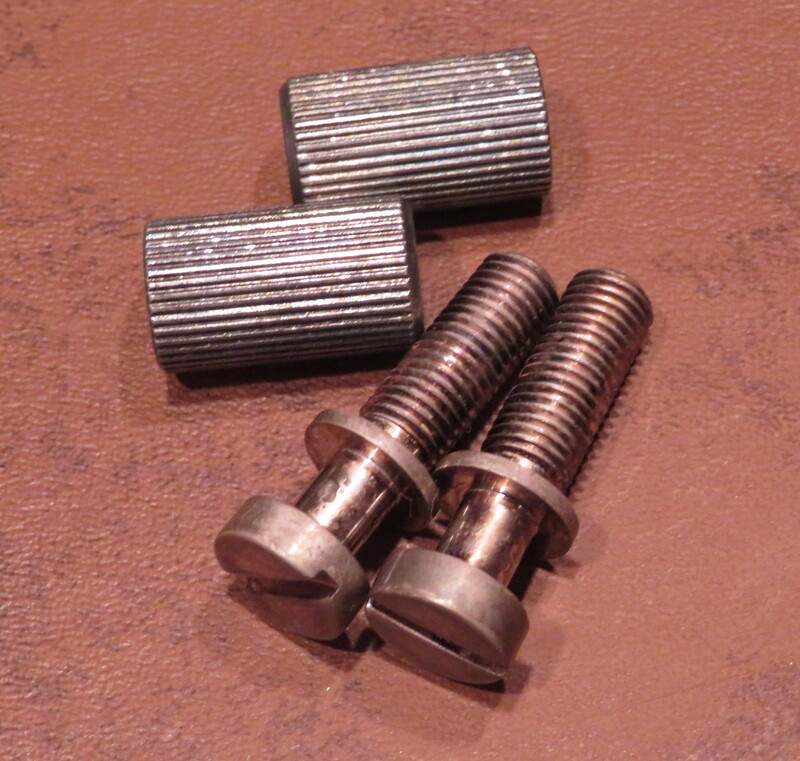 Vintage Relic aged tailpiece STUDS (brass, nickel plated) & BUSHINGS, compatible with Gibson Les Paul 335 SG Standard HistoricCustom Shop 1959 1958 1960 Burst. These are brand new, recently aged distressed relic'd by us for a 1950s 1960s vintage look. 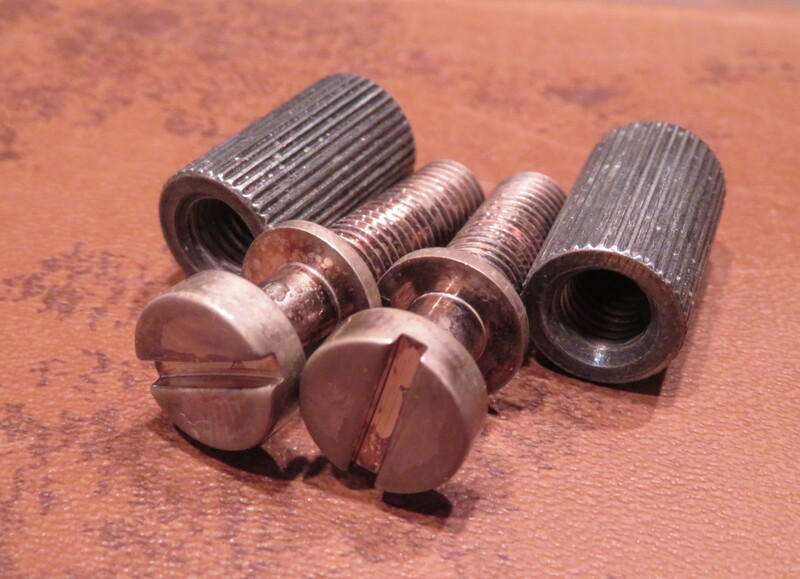 Vintage / historic spec (will fit vintage and USA Historic Spec tailpieces with ears measuring 5/16" or less). Bushing dimensions: .875" x .50". 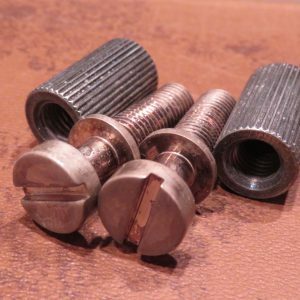 Studs are 1.425" total length (threaded portion is .875") with 5/16-24 thread. Made in USA. NOTE: pictures show a typical "medium" relic; if you prefer "light" or "heavy" please choose below. 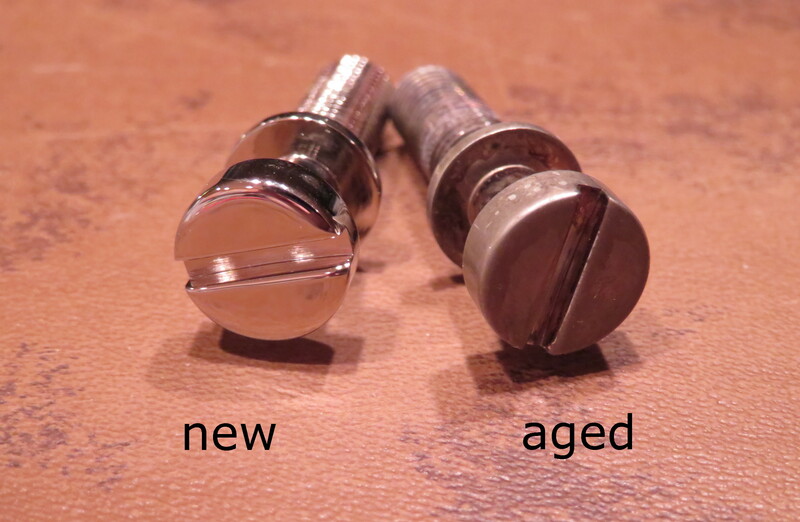 Pictures are similar (but not exact) to the level of aging your studs will receive; these are custom relic'd by hand one at a time and, like real vintage parts, may vary slightly.